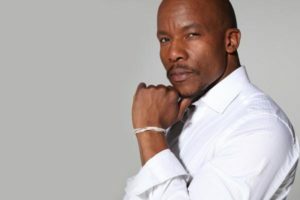 Mduduzi Mabaso is a South African actor who is popular for his starring role as gangster Suffocate on the e.tv soapie Rhythm City, since the show’s debut in July 2007. He grew up in Alexandra township in northern Johannesburg, South Africa. Details on his real age and date of birth is unknown but he was 41-42 as at 2017. He is the father of four children namely Ntokozo, Mpumi, Njabulo, and Zolile.